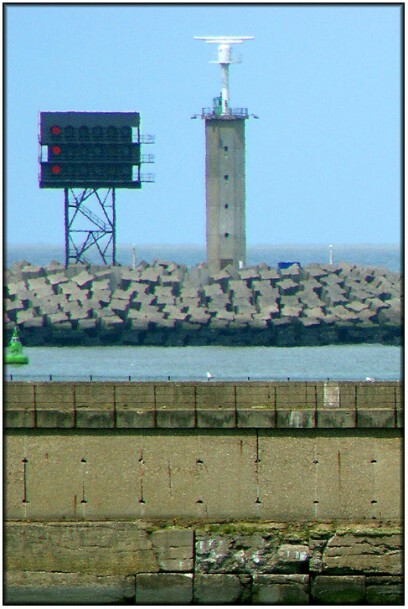 With the exception of the prominent white radar scanner mounted next to the lantern, the appearance of the West Mole light is almost identical to that on the West Mole. The light characteristics are also similar except that the light displayed is green. Another difference is that the traffic control lights here face into the harbour and are obviously used to signal outward bound ships. Again, I have no information regarding access.